Sandra Williams updated profile. View. Sandra Williams changed profile picture. Sandra Williams posted a message. 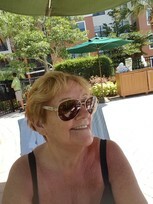 Sandra Williams changed "Now" picture. New comment added. Hi Carol Ann! It was great to hear from you. I will be in touch to let you know what I have been doing. I live in San Antonio Texas now. My brother Gary lives in Freeburg Illinois. I was so upset that Dee Dee had died. I had been trying to get in touch with her for the longest time. I tried to see the obituary but was unable to. Good to hear from you. Do you ever see Karen? Lots to talk about. Your picture looks fabulous. I too have gone blonde a long time ago. Can't believe this freaky senior picture. Argh!!! Sandra Williams posted a message. New comment added. It's great to announce that I am still among the living. Living in San Antonio TX.